Dmitri (888) 847-9860 10391 Westminster Blvd Westminster Colorado 80020 ? ? ? ? 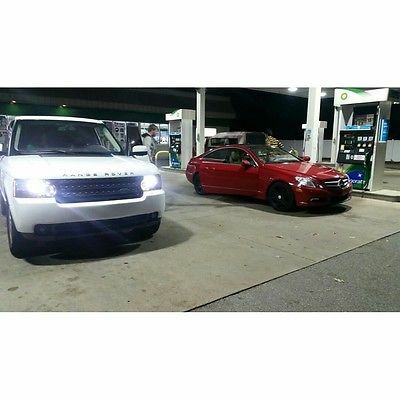 Vehicle Information VIN: SALSK2D41DA782345 Stock: 782345 Mileage: 42,270 Color: Fuji White Trans: Automatic Engine: 5.0L MPG: 13 City / 18 Highway Drivetrain: 4WD Description Range Rover Sport HSE LUX, 4D Sport Utility, 5.0L V8, 6-Speed Automatic with Command Shift, 4WD, and Fuji White. Real Winner!Are you interested in a simply outstanding SUV? 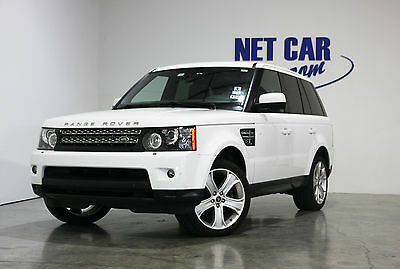 Then take a look at this attractive 2013 Land Rover Range Rover Sport. This fantastic Land Rover is one of the most sought after used vehicles on the market because it NEVER lets owners down.As a five-time winner of the Best of the Best award all of us here at Mercedes-Benz of Westminster know that without you, our valued customer, we would not be in business. That's why we open our doors every day with the goal of delivering the best service possible to Denver, Boulder, Aurora and we will ship to anywhere in the US! From our knowledgeable sales staff, to our expert finance team, to our highly-skilled and factory trained technicians, you'll experience the best care and customer service for whatever your needs may be. We offer a large selection of Certified Pre-Owned Mercedes-Benz! If you are looking for your next used car, truck or SUV come see us! We want your trade! Call us or visit us at www.mbwestminster.com. ? ? ? ? 1 of 50 ? View Large Images ? ? Options Contact Mercedes-Benz of Westminster 10391 Westminster Blvd Westminster Colorado 80020 View Map Ask for:Dmitri Contact: ?Contact Us Toll Free:(888) 847-9860 Dmitri Direct:(303) 464-6639 Dmitri Text / Cell:(720) 254-8951 Terms Delivery and Handling Charges: To the negotiated price of each vehicle sold there will be added the sum of $599.00 for the cost and additional profit to the seller / Dealer for items such as inspecting, cleaning and adjusting new and used vehicles and preparing documents related to the sale. Placing a Bid: Your bid constitutes a legally binding contract to purchase this vehicle. Please do not bid if you're not seriously interested or financially able to purchase this vehicle. Please read eBay's User AgreementMercedes-Benz of Westminster reserves the right to, Obtain and verify the registered information of all users who bid on this auction. Cancel any and all bids at our discretion, or end the auction early if necessary.Bidders Age: You must be 18 years of age or older to Bid. Special eBay Bid Retraction Rules: Please read eBay's "Retracting a Bid" If you place a bid before the last 12-hour period of the auction: You may retract that bid before that last 12-hour period but only for exceptional circumstances. You will not be allowed to retract that bid during the last 12-hour period of the auction. If you place a bid during the last 12-hour period of the auction: You will be allowed to retract the bid for exceptional circumstances but only if you do so within one hour after placing the bid.Funds & Financing: For help in arranging for a Pre-Approved loan or for any questions please e-mail or phone Dmitri at (888) 847-9860 prior to bidding.Mercedes-Benz of Westminster does not provide financing or leasing options for CA residents due to emissions standards and regulations by the state of California. Cash purchase only for CA residents. Buyers Inspection: Mercedes-Benz of Westminster has done our best to disclose all information known about this vehicle for auction. Mercedes-Benz of Westminster welcomes a buyers inspection. If you plan to have a buyers inspection, please make sure you inspect the vehicle prior to the auction ending. Inspection fees if any are Buyers responsibility. Representations and Warranties made by seller: This vehicle is being sold "as is". Manufacturer's warranties may still apply. Extended warranty may be available, e-mail or phone Dmitri at (888) 847-9860 for details. No representations or warranties are made by seller, nor are any representations or warranties relied upon by bidders in making bids. Taxes and Registration fees: Out of state buyers are responsible for all state, county, city taxes and fees, as well as title service fees in the state that the vehicle will be registered. All taxes and fees must be paid in full in order for vehicle to be titled and registered. Title Information: Vehicles titles may be held by banks or lenders as collateral for loans. In many cases there is a delay in receiving the original instruments up to 21 days from the time we pay a vehicle off. While we usually have all titles in our possession at closing, there are occasions where we may be waiting for them to arrive. If payment is made by cashier's or personal checks we will hold all titles for 10 days or until funds have cleared. Shipping & Delivery: All shipping charges are buyer's responsibility. Mercedes-Benz of Westminster will help with shipping arrangements but will not be responsible in any way for claims arising from shipping damage!Licensed Carriers are generally insured for $3,000,000.00. We assume no responsibility for damages incurred after the vehicle leaves our showroom. All shipping arrangements are provided by Mercedes-Benz of Westminster as a courtesy. We are not affiliated with any carrier. Any claims or other communication regarding shipment of vehicles will be between you and the shipper, not with Mercedes-Benz of Westminster. The amount of time it takes for delivery is dependent on the carrier, but is generally 7-14 days from the date the vehicle is picked up from our facility until it is delivered to your destination. Verify with the shipper for an Estimate Time of Arrival to be sure. Finalizing your Purchase: Mercedes-Benz of Westminster will contact the successful high bidder by e-mail after the auction closes. Successful high bidder MUST communicate with Dmitri at Mercedes-Benz of Westminster by e-mail or phone (888) 847-9860 within 24 hours of the auction ending to make arrangements to complete their transaction. If we cannot confirm your intention to buy or the sale is not completed within 5 days, we reserve the right to relist this vehicle or sell to any other qualified buyer. In order to secure bid on vehicle, Successful bidder (BUYER) must within 24 hours of bid closing send to Seller a Deposit in the amount of 10% by major credit card, cash in person or bank certified funds. Within 72 hours of bid closing, Buyer must send balance of funds by cash in person or bank certified funds to Seller. At time of sending initial deposit, Buyer MUST fax or email copy of their State issued valid Driver License. Furthermore, before said vehicle is released for shipment to Buyer, all other Sale related and title related paperwork must be signed and returned complete to Seller. Copyright © 2017 Auction123 - All rights reserved. - Disclaimer +- Auction123 (a service and listing/software company) and the Seller has done his/her best to disclose the equipment/condition of this vehicle/purchase. However, Auction123 disclaims any warranty as to the accuracy or to the working condition of the vehicle/equipment listed. The purchaser or prospective purchaser should verify with the Seller the accuracy of all the information listed within this ad. Selling a Vehicle? Create Professional Listings Fast and Easy. Click Here! Dmitri (888) 847-9860 10391 Westminster Blvd Westminster Colorado 80020 ? ? ? ? Vehicle Information VIN: SALME15497A260625 Stock: 260625 Mileage: 66,741 Color: Buckingham Blue Trans: Automatic Engine: 4.4L MPG: 14 City / 19 Highway Drivetrain: 4WD Description 4.4L V8, 4WD, and Buckingham Blue. Success starts with Mercedes-Benz of Westminster! 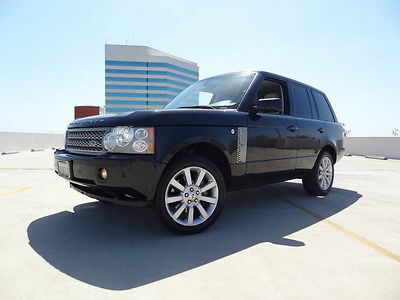 What a price for an 07!How enticing is the low-mileage of this outstanding 2007 Land Rover Range Rover? What a perfect match! 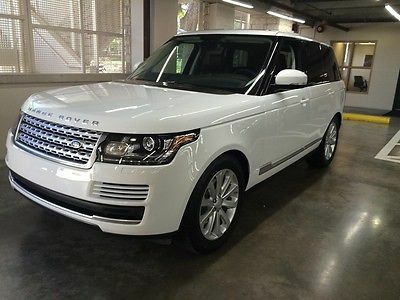 This great Land Rover Range Rover is available at the just right price for the just right person - You!As a five-time winner of the Best of the Best award all of us here at Mercedes-Benz of Westminster know that without you, our valued customer, we would not be in business. That's why we open our doors every day with the goal of delivering the best service possible to Denver, Boulder, Aurora and we will ship to anywhere in the US! From our knowledgeable sales staff, to our expert finance team, to our highly-skilled and factory trained technicians, you'll experience the best care and customer service for whatever your needs may be. We offer a large selection of Certified Pre-Owned Mercedes-Benz! If you are looking for your next used car, truck or SUV come see us! We want your trade! Call us or visit us at www.mbwestminster.com. ? ? ? ? 1 of 43 ? View Large Images ? ? Options Contact Mercedes-Benz of Westminster 10391 Westminster Blvd Westminster Colorado 80020 View Map Ask for:Dmitri Contact: ?Contact Us Toll Free:(888) 847-9860 Dmitri Direct:(303) 464-6639 Dmitri Text / Cell:(720) 254-8951 Terms Delivery and Handling Charges: To the negotiated price of each vehicle sold there will be added the sum of $599.00 for the cost and additional profit to the seller / Dealer for items such as inspecting, cleaning and adjusting new and used vehicles and preparing documents related to the sale. Placing a Bid: Your bid constitutes a legally binding contract to purchase this vehicle. Please do not bid if you're not seriously interested or financially able to purchase this vehicle. Please read eBay's User AgreementMercedes-Benz of Westminster reserves the right to, Obtain and verify the registered information of all users who bid on this auction. Cancel any and all bids at our discretion, or end the auction early if necessary.Bidders Age: You must be 18 years of age or older to Bid. Special eBay Bid Retraction Rules: Please read eBay's "Retracting a Bid" If you place a bid before the last 12-hour period of the auction: You may retract that bid before that last 12-hour period but only for exceptional circumstances. You will not be allowed to retract that bid during the last 12-hour period of the auction. If you place a bid during the last 12-hour period of the auction: You will be allowed to retract the bid for exceptional circumstances but only if you do so within one hour after placing the bid.Funds & Financing: For help in arranging for a Pre-Approved loan or for any questions please e-mail or phone Dmitri at (888) 847-9860 prior to bidding.Mercedes-Benz of Westminster does not provide financing or leasing options for CA residents due to emissions standards and regulations by the state of California. Cash purchase only for CA residents. Buyers Inspection: Mercedes-Benz of Westminster has done our best to disclose all information known about this vehicle for auction. Mercedes-Benz of Westminster welcomes a buyers inspection. If you plan to have a buyers inspection, please make sure you inspect the vehicle prior to the auction ending. Inspection fees if any are Buyers responsibility. Representations and Warranties made by seller: This vehicle is being sold "as is". Manufacturer's warranties may still apply. Extended warranty may be available, e-mail or phone Dmitri at (888) 847-9860 for details. No representations or warranties are made by seller, nor are any representations or warranties relied upon by bidders in making bids. Taxes and Registration fees: Out of state buyers are responsible for all state, county, city taxes and fees, as well as title service fees in the state that the vehicle will be registered. All taxes and fees must be paid in full in order for vehicle to be titled and registered. Title Information: Vehicles titles may be held by banks or lenders as collateral for loans. In many cases there is a delay in receiving the original instruments up to 21 days from the time we pay a vehicle off. While we usually have all titles in our possession at closing, there are occasions where we may be waiting for them to arrive. If payment is made by cashier's or personal checks we will hold all titles for 10 days or until funds have cleared. Shipping & Delivery: All shipping charges are buyer's responsibility. Mercedes-Benz of Westminster will help with shipping arrangements but will not be responsible in any way for claims arising from shipping damage!Licensed Carriers are generally insured for $3,000,000.00. We assume no responsibility for damages incurred after the vehicle leaves our showroom. All shipping arrangements are provided by Mercedes-Benz of Westminster as a courtesy. We are not affiliated with any carrier. Any claims or other communication regarding shipment of vehicles will be between you and the shipper, not with Mercedes-Benz of Westminster. The amount of time it takes for delivery is dependent on the carrier, but is generally 7-14 days from the date the vehicle is picked up from our facility until it is delivered to your destination. Verify with the shipper for an Estimate Time of Arrival to be sure. Finalizing your Purchase: Mercedes-Benz of Westminster will contact the successful high bidder by e-mail after the auction closes. Successful high bidder MUST communicate with Dmitri at Mercedes-Benz of Westminster by e-mail or phone (888) 847-9860 within 24 hours of the auction ending to make arrangements to complete their transaction. If we cannot confirm your intention to buy or the sale is not completed within 5 days, we reserve the right to relist this vehicle or sell to any other qualified buyer. In order to secure bid on vehicle, Successful bidder (BUYER) must within 24 hours of bid closing send to Seller a Deposit in the amount of 10% by major credit card, cash in person or bank certified funds. Within 72 hours of bid closing, Buyer must send balance of funds by cash in person or bank certified funds to Seller. At time of sending initial deposit, Buyer MUST fax or email copy of their State issued valid Driver License. Furthermore, before said vehicle is released for shipment to Buyer, all other Sale related and title related paperwork must be signed and returned complete to Seller. Copyright © 2017 Auction123 - All rights reserved. - Disclaimer +- Auction123 (a service and listing/software company) and the Seller has done his/her best to disclose the equipment/condition of this vehicle/purchase. However, Auction123 disclaims any warranty as to the accuracy or to the working condition of the vehicle/equipment listed. The purchaser or prospective purchaser should verify with the Seller the accuracy of all the information listed within this ad. Selling a Vehicle? Create Professional Listings Fast and Easy. Click Here! 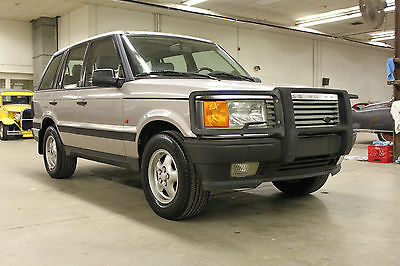 ** 1995 LAND ROVER RANGE ROVER ** ** SE 4.0 ** THIS ROVER WAS AQUIRED BY US FROM A LOCAL CLIENT WHO BOUGHT IT BRAND NEW. 1-OWNER WITH PROBABLY OVER $40,000 SPENT IN DOCUMENTED RECEIPTS OVER 4” THICK !!! RUNS AND DRIVES EXCELLENT !!! PAINT IS SHOWING SIGNS OF AGE WITH FADED PAINT. BODY ALSO SHOWS ITS AGE WITH A FEW BATTLE SCARS ( SLIGHT DAMAGE FRONT LEFT BUMPER/ HOOD WHICH SHOWS ON CARFAX DUE TO MINOR PARKING LOT INCIDENT ). INTERIOR FAIRLY CLEAN AND WAS NEVER SMOKED IN. INTERIOR DOES SHOW ITS AGE WITH WEAR AND SOME RIPS IN THE SEATING. DRIVABILITY IS AMAZING CONSIDERING ITS AGE AND MILES. TRACKS STRAIGHT, GOOD BRAKES, DELAWARE STATE INSPECTED , EXCELLENT TREAD ON MICHELIN TIRES, GOOD POWER AND ACCELERATION ALONG WITH SMOOTH SHIFTING TRANSMISSION. APPEARS COIL SUSPENSION CONVERSION HAS BEEN DONE- LEVELING DOES NOT WORK. DEPENDING ON WHAT YOUR PLANS ARE WITH IT - IT COULD USE: FAULTY GAS GAUGE SENDER UNIT / SENSOR ABS LIGHT DOES LIGHT UP WHEN 1ST STARTED- GOES OUT ONCE VEHICLE IS DRIVEN A COUPLE OF MILES SUNROOF NEEDS ADJUSTMENT TO CLOSE PROPERLY HEAT WORKS AS IT SHOULD, HAVE NOT TRIED A/C DUE TO EXTREME COLD HERE IN DE. QUICK START UP AND WALK AROUND VIDEO: https://www.youtube.com/watch?v=fz8wi8Vm9uw FOR MORE PICS AND INFO CONTACT: JAY BROWN (302)-358-6657 OR: JAY.BROWNCLASSICS@GMAIL.COM OR: AARON D. (302)-547-5004 RANGE ROVER IS BEING SOLD “AS-IS” , NO WARRANTY EXPRESSED OR IMPLIED. SHIPPING AVAILABLE IF NEEDED. Justin Cohen (844) 587-7055 1333 N Federal Hwy Fort Lauderdale Florida 33304 ? ? ? ? 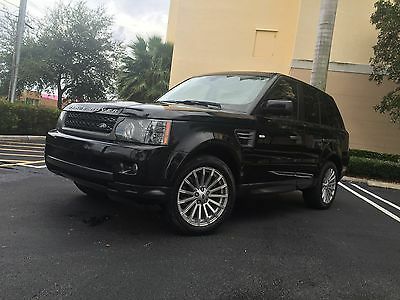 2012 Land Rover Range Rover Sport HSE ? ? ? ? 1 of 24 ? View Large Images ? ? Vehicle Information VIN: SALSF2D4XCA726519 Stock: CA726519 Mileage: 32,797 Color: Orkney Gray Trans: Automatic Engine: 5L 8 Cylinder Engine MPG: 13 City / 18 Highway Drivetrain: Four Wheel Drive ?Directions to Dealer ?Contact Us Why Buy From Us? Dealing with AutoNation gives you peace of mind. We are the world's largest automotive retailer with over 10 million cars sold to date. We have donated over a million dollars to fight breast cancer. All of our cars are fully inspected by our Ford Certified Technicians. 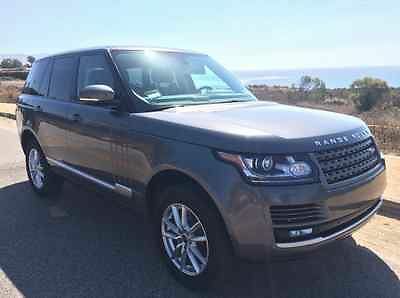 Description 2012 Land Rover Range Rover HSE Sport. Clean carfax. This is a very nice luxury vehicle at an affordable price. This vehicle is priced to sell. The vehicle went thru our shop and had a 125 point inspection performed on it. Every vehicle we get goes thru a rigorous inspection to maintain AutoNation's high standards of selling a vehicle. If you have any questions please feel free to contact me directly JUSTIN 844-587-7055. Thank you Options Options ? Anigre Wood Trim ? Satellite/HD Digital Radio ? Ebony; Leather Seating Surfaces ? Four Wheel Drive ? Generic Sun/Moonroof ? Leather Seats ? Navigation System ? Orkney Grey Metallic ? Satellite/Hd Radio Standard Features Basic Information Stock Number: CA726519 VIN Number: SALSF2D4XCA726519 Style Name: All-Wheel Drive HSE Make: Land Rover Model: Range Rover Sport Model Year: 2012 Vehicle Type: SUV Vehicle Trim: HSE Interior Color: Ebony Exterior Color: Orkney Grey Metallic Body Type: SUV Engine MPG Automatic City: 13 MPG Automatic Highway: 18 Engine Description: 5L 8 Cylinder Engine Fuel Type: Gas Fuel Induction: Direct Gasoline Injection Valves Per Cylinder: 4 Aspiration: Normal DriveTrain 4WD Type: Full-Time Descent Control: Hill Descent Control Driven Wheels: Four-Wheel Locking Hubs: Permanent Transfer Case: Electronic Transmission: Automatic Wheels Rims: Silver Aluminum Wheels Spare Rim Type: Steel Drive Train Type: Four Wheel Drive Suspension Independent Suspension: Four-Wheel Leveling Suspension: 4-Corner Stabilizer Bar: Front And Rear Instrumentation Clock Compass External Temp Low Fuel Level Tachometer Trip Computer Roof and Glass Front Wipers: Variable Intermittent Privacy Glass: Deep Rear Defogger Rear Qtr Windows: Wiper Park Rear Wiper: Variable Intermittent Sunroof: Express Open/Close Glass In Car Entertainment Antenna Type: Window Grid And Roof Mount Audio System: AM/FM/Satellite-Prep Premium Brand: Harman/Kardon Premium Speakers: Harman/Kardon Speakers: 11 Seats Drivers Height: Power Drivers Lumbar: Power 2-Way Drivers Power: 8 Passenger Height: Power Passenger Power: 8 Seating Capacity: 5 Front Seat Type: Bucket Upholstery: Leather Center Armrest Folding: Flip Forward Cushion/Seatback Convenience Center Console: Full With Covered Storage Cruise Control Cupholders: Front And Rear Door Pockets: Driver, Passenger And Rear Power Outlets: 3 Remote Trunk Release: Power Seatback Storage: 2 Steering Adjustment: Tilt And Telescopic Steering Power: Speed-Proportional Power Steering Universal Remote Transmitter Power Mirrors: Power Remote W/Tilt Down Power Retractable Mirrors Reverse Tilt Mirror: Dual Mirrors Power Door Locks Windows: Power Windows Navigation System: With Voice Activation Memory Features Exterior Mirrors Memory Features Number Of Drivers: 3 Memory Features Steering Wheel Comfort Air Conditioning: Automatic Air Filtration: Interior Air Filtration Trunk Lights: Cargo Area Light Center Console Trim: Genuine Wood/Metal-Look Dash Trim: Metal-Look Door Trim: Genuine Wood Mats: Carpet Front And Rear Reading Lights: Front And Rear Shift Knob: Leather/Metal-Look Steering Wheel Trim: Leather/Metal-Look Vanity Mirrors: Dual Illuminated Vanity Mirrors Features Aux Engine Cooler: Regular Aux Transmission Cooler: Regular Bumpers: Body-Colored Door Reinforcement: Side-Impact Door Beam Safety Turning Circle: 37.8 ABS: 4-Wheel Head Airbags: Curtain 1St And 2Nd Row Anti Theft System Brake Assist: Braking Assist Safety Locks Engine Immobilizer Headlights Auto Delay: Auto Delay Off Headlights Dusksensor: Dusk Sensing Front Headrests: Manual Adjustable Rear Headrests: 3 Rear Center Seatbelt: 3-Point Belt Safety Stability Control Driver And Passenger Airbag Side Airbag Stability Control: Stability Control With Anti-Roll Door Reinforcement: Side-Impact Door Beam Towing and Hauling Tie Downs: Cargo Tie Downs Doors Rear Door Type: Power Liftgate Side Door Type: Conventional Dimensions Front Head Room: 39.4 Inches Front Shoulder Room: 58.7 Inches Front Leg Room: 42.4 Inches Rear Head Room: 38.4 Inches Rear Leg Room: 37.6 Inches Rear Shoulder Room: 57.6 Inches Luggage Capacity: 34 Cu.Ft. 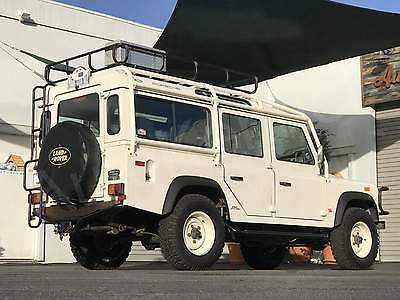 Length: 188.3 Inches Width: 76.1 Inches Height: 70.4 Inches Wheelbase: 108.0 Inches Ground Clearance: 6.8 Inches Max Gross Vehicle Weight: 6,768 Lbs. Curb Weight: 5,487 Lbs. Contact AutoNation Ford Fort Lauderdale - eBay Sales 1333 N Federal Hwy Fort Lauderdale Florida 33304 View Map Ask for:Justin Cohen Contact: ?Contact Us Direct:(844) 587-7055 CARFAX Vehicle History Report VEHICLE HISTORY REPORTS Dont buy a used car without CARFAX! ?2 Owners ?Vehicle Qualifies for the CARFAX Buyback Guarantee ?No Total Loss Reported to CARFAX ?No Structural/Frame Damage Reported to CARFAX ?No Airbag Deployment Reported to CARFAX ?No Indication of an Odometer Rollback ?No Accidents / Damage Reported to CARFAX ?No Manufacturer Recalls Reported to CARFAX View Free History Report Disclaimer: Not all accidents or other issues are reported to CARFAX. The number of owners is estimated. See the full CARFAX Report for additional information and glossary of terms. About Us Terms Subject to prior sale. Quoted price subject to change without notice to correct errors or omissions. Price may include manufacturer ("OEM") incentives which are subject to OEM qualification criteria and may be contingent upon OEM finance company approval. See store for details. Excludes tax, tag, registration, tag agency/electronic filing fee and up to $699.95 dealer fee. Standard features are based upon trim level. Accessories, options and color may vary. Placing a Bid: Your bid constitutes a legally binding contract to purchase this vehicle. Please do not bid if you're not seriously interested or financially able to purchase this vehicle. 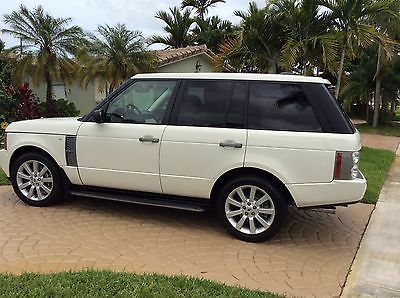 Please read eBay's User AgreementAutoNation Ford Fort Lauderdale - eBay Sales reserves the right to, Obtain and verify the registered information of all users who bid on this auction. Cancel any and all bids at our discretion, or end the auction early if necessary.Bidders Age: You must be 18 years of age or older to Bid. Special eBay Bid Retraction Rules: Please read eBay's "Retracting a Bid" If you place a bid before the last 12-hour period of the auction: You may retract that bid before that last 12-hour period but only for exceptional circumstances. You will not be allowed to retract that bid during the last 12-hour period of the auction. If you place a bid during the last 12-hour period of the auction: You will be allowed to retract the bid for exceptional circumstances but only if you do so within one hour after placing the bid.Funds & Financing: For help in arranging for a Pre-Approved loan or for any questions please e-mail or phone Justin at (844) 587-7055 prior to bidding. Buyers Inspection: AutoNation Ford Fort Lauderdale - eBay Sales has done our best to disclose all information known about this vehicle for auction. AutoNation Ford Fort Lauderdale - eBay Sales welcomes a buyers inspection. If you plan to have a buyers inspection, please make sure you inspect the vehicle prior to the auction ending. Inspection fees if any are Buyers responsibility. Representations and Warranties made by seller: This vehicle is being sold "as is". Manufacturer's warranties may still apply. Extended warranty may be available, e-mail or phone Justin at (844) 587-7055 for details. No representations or warranties are made by seller, nor are any representations or warranties relied upon by bidders in making bids. Taxes and Registration fees: Out of state buyers are responsible for all state, county, city taxes and fees, as well as title service fees in the state that the vehicle will be registered. All taxes and fees must be paid in full in order for vehicle to be titled and registered. Title Information: Vehicles titles may be held by banks or lenders as collateral for loans. In many cases there is a delay in receiving the original instruments up to 21 days from the time we pay a vehicle off. While we usually have all titles in our possession at closing, there are occasions where we may be waiting for them to arrive. If payment is made by cashier's or personal checks we will hold all titles for 10 days or until funds have cleared. Shipping & Delivery: All shipping charges are buyer's responsibility. AutoNation Ford Fort Lauderdale - eBay Sales will help with shipping arrangements but will not be responsible in any way for claims arising from shipping damage!Licensed Carriers are generally insured for $3,000,000.00. We assume no responsibility for damages incurred after the vehicle leaves our showroom. All shipping arrangements are provided by AutoNation Ford Fort Lauderdale - eBay Sales as a courtesy. We are not affiliated with any carrier. Any claims or other communication regarding shipment of vehicles will be between you and the shipper, not with AutoNation Ford Fort Lauderdale - eBay Sales. The amount of time it takes for delivery is dependent on the carrier, but is generally 7-14 days from the date the vehicle is picked up from our facility until it is delivered to your destination. Verify with the shipper for an Estimate Time of Arrival to be sure. Finalizing your Purchase: AutoNation Ford Fort Lauderdale - eBay Sales will contact the successful high bidder by e-mail after the auction closes. Successful high bidder MUST communicate with Justin at AutoNation Ford Fort Lauderdale - eBay Sales by e-mail or phone (844) 587-7055 within 24 hours of the auction ending to make arrangements to complete their transaction. If we cannot confirm your intention to buy or the sale is not completed within 5 days, we reserve the right to relist this vehicle or sell to any other qualified buyer. In order to secure bid on vehicle, Successful bidder (BUYER) must within 24 hours of bid closing send to Seller a Deposit in the amount of 10% by major credit card, cash in person or bank certified funds. Within 72 hours of bid closing, Buyer must send balance of funds by bank wire transfer, cash in person, bank certified funds to Seller. At time of sending initial deposit, Buyer MUST fax copy of their State issued valid Driver License. Furthermore, before said vehicle is released for shipment to Buyer, all other Sale related and title related paperwork must be signed and returned complete to Seller. Used / Pre-Owned Vehicle Disclaimer Accessories & color may vary. Quoted price subject to change without notice to correct errors or omissions. This is an individualized price quote & is valid solely in connection with a purchase by you, the recipient. New vehicle pricing may already include applicable manufacturer incentives which may expire at any time & are subject to incentive qualification criteria & requirements, & which may be contingent upon manufacturer finance company approval. Manufacturer incentive data & vehicle features is provided by third parties & believed to be accurate as of the time of publication. Please contact the store by email or phone for details & availability of incentives. Sales tax or other taxes, tag, title, registration fees, government fees, tag agency/electronic filing fee & $699.95 Dealer Service Fee not included in quoted price. Some used vehicles may have unrepaired safety recalls. You can check recall status by VIN, at www.safercar.gov Disclaimers The World's Largest Automotive Retailer. Copyright © 2017 Auction123 - All rights reserved. - Disclaimer +- Auction123 (a service and listing/software company) and the Seller has done his/her best to disclose the equipment/condition of this vehicle/purchase. However, Auction123 disclaims any warranty as to the accuracy or to the working condition of the vehicle/equipment listed. The purchaser or prospective purchaser should verify with the Seller the accuracy of all the information listed within this ad. Selling a Vehicle? Create Professional Listings Fast and Easy. Click Here! 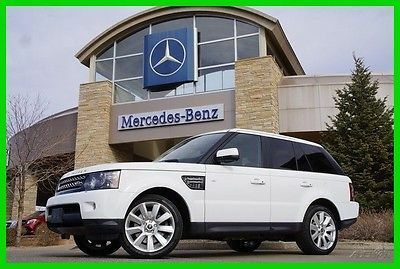 2013 RANGE ROVER SPORT HSE One Owner / Clean CarFax ! Loaded with options! Perfect Color Combination! MSRP $69,030.00 5.0L 375hp V8 / 4 Wheel Drive Four Wheel Electronic Traction Control 19" Aluminum Alloy Wheels Six Airbag Supplemental Restraint System All Terrain Dynamic Stability Control Dual Zone Automatic Climate Control System Power Tilt and Slide Sunroof / Power Tailgate Leather Seats and Shift Knob 7" Full Color Touchscreen / Navigation 380-Watt 11 Speaker Harmon / Kardon Audio System CD / DVD Player / IPod Connectivity / USB Port Thank you for visiting another one of Net Car Showroom's exclusive listings! The paint is in excellent condition and it is apparent that this car was garaged and meticulously-maintained. This vehicle has all of the right options. This vehicle is fully-loaded. This vehicle was tastefully optioned. The interior of this vehicle is virtually flawless. Please Call Sam 832.455.5746 For more Information. We are Ebay seller Netcarshowroom Terms and Conditions Winning bidder must contact us within 24 hours of auction end, to make payment arrangements . We require a $1000 dollar non refundable downpayment at the end of the auction .Payment for deposit can be made by credit card , Bank to Bank wire transfer or Cashiers check . The remainder is due within 5 days of auction end. If we do not hear from the buyer within 24 Hours after the end of the auction we will cancel the auction and relist the vehicle or sell it to the next high bidder, We can assist with financing shipping and extended warranties on most vehicles . Please contact us prior to bidding . Please do not bid on this auction unless you are serious about owning this vehicle. Buyer is responsible for pickup or shipping of this vehicle . We can also assist with shipping arrangements so please dont hesitate to contact us if you need assistance . This vehicle is for sale other places so we reserve the right to cancel this auction at any time . Net Car Showroom is a licensed Texas dealer. As per the eBay User Agreement, by placing a bid you are entering into a legally binding contract and are committed to purchasing the vehicle described in this eBay advertisement. The details of this commitment are further outlined in the eBay User Agreement. This vehicle is being sold as is, where is with no warranty, expressed written or implied. The seller shall not be responsible for the correct description, authenticity, genuineness, or defects herein, and makes no warranty in connection therewith. No allowance or set aside will be made on account of any incorrectness, imperfection, defect or damage. Any descriptions or representations are for identification purposes only and are not to be construed as a warranty of any type. It is the responsibility of the buyer to have thoroughly inspected the vehicle, and to have satisfied himself or herself as to the condition and value and to bid based upon that judgment solely. The seller shall and will make every reasonable effort to disclose any known defects associated with this vehicle at the buyer's request prior to the close of sale. Seller assumes no responsibility for any repairs regardless of any oral statements about the vehicle. All vehicles are sold "AS IS" and with no warranties expressed or implied. Shipping is the purchasers responsibility. If in Texas, buyer pays all Texas taxes and fees. If purchaser is out of state, buyer pays Texas Inventory fee and document fees. 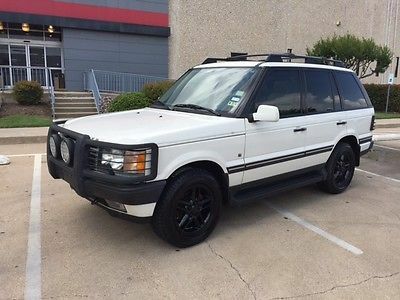 2002 Land Rover Range Rover 4.6 HSE Loaded… Low Miles! Clean and Clear White PaintIvory Leather with Dark PipeRare Color ComboRare HSE PackageNon-Smoker and Very CleanBlack Custom WheelsFront and Rear Brush GuardsFactory Running BoardsFactory Tow PackageOverride Suspension Kit… No Airbags to worry about!Complete Engine Service, Oil, Plugs, Filters…Brakes at 80%Tires at 80%AC Serviced / Charged and ColdNo Known Oil LeaksNo Engine Smoke or NoiseRuns and Drives Smooth with Good V8 Power.125k Miles Great Family Daily driver or Really Cool Teenager First Truck! 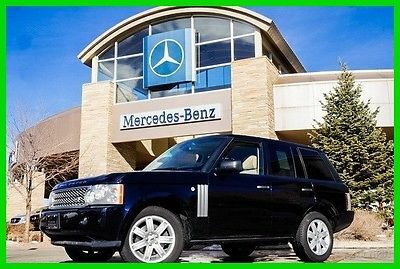 Land Rover : Range Rover Custom Range Rover AWESOME Custom Lifted Range Rover Bio Diesel 4X4 Off Road Excellent Trade ? This is a really cool Custom Range Rover. I have owned and built many custom diesels (customdiesels.com) This awesome truck was professionally built as a long range expedition vehicle with excellent manners on and off road. Super tough yet luxurious custom looks runs and drives amazing! 6.2 litre Military spec diesel with legendary NV4500 manual 5 speed... heavy duty clutch and push button 4X4 with all wheel traction control. It works amazingly well... Super powerful and smooth with giant torque for pulling and plenty of gear for cruising!! It gets tremendous fuel mileage and will run excellent on vegetable oil, bio-diesel, or regular diesel or any blend there of... I have only run regular diesel in it. This bad boy is in great condition all around. Looks awesome with a flat black wrap over nice black paint, custom rims/tires, 4 inch lift with Terra Firma suspension. 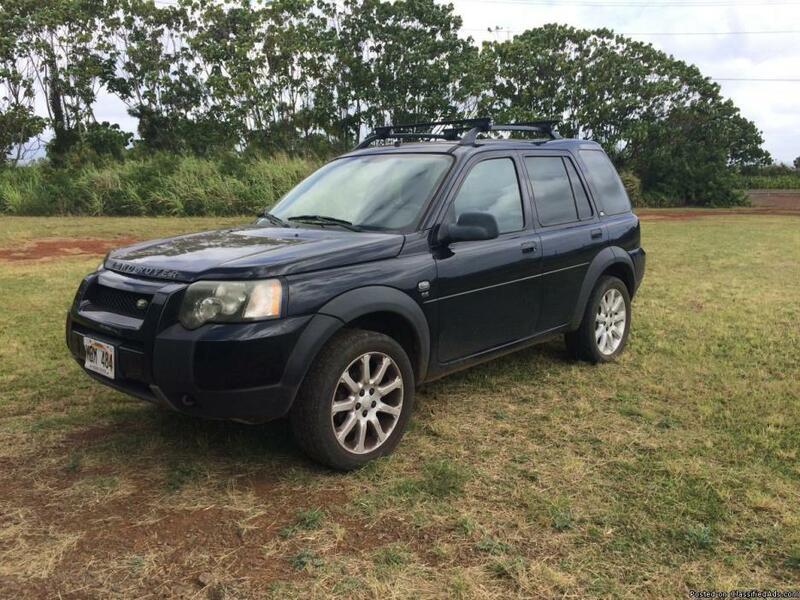 This truck has been well tested off road for reliability but meticulously maintained and loved. I drive it around Beverly Hills all the time... ready for any expedition... yukon or urban assault!... :) The body is super straight and rust free... the underside is clean and solid. Matte black wrap presents great with some blemishes... It's not a poser... it has some scratches from branches and a battle scar here and there but it looks super cool and I get compliments on it constantly.. It has a cool stance with custom coated rims and tires. The winch is from a military hum vee... pto driven... it'll pull down a house... lol. The interior is great... One minor split in passenger seat... custom headliner. Used but in nice shape. custom gauges in the dash all work properly as do the lights and electronics... its super quiet inside... amazingly tight and rattle free. Best Part!!!... 6.2 Diesel motor starts idles and runs fantastic... Awesome fuel mileage, power and torque... will run excellent on vegetable oil, bio-diesel, or regular diesel or any blend there of. NV4500 5 speed shifts smooth and strong through the gears. Gear ratios are great off road, around town, and cruises really nice on the freeway as well. Strong, and reliable... ready to roll.... definite daily driver or expedition capable. Overall this is a really cool custom Rover in great condition all around. 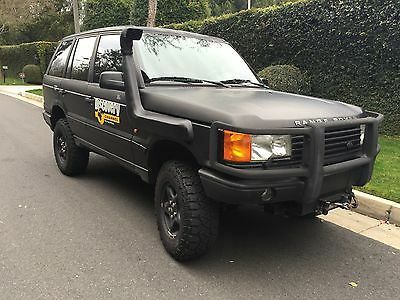 Awesome expedition vehicle and/or weekend cruiser, daily driver, or whatever you like. Great for any enthusiast, collector, or anyone looking for a cool and unique 4X4 at a great price. The car is located in Beverly Hills California... Inspections are welcome and encouraged... serious buyers can call me at 310 850 8980 but no tire kickers please. I'm open to interesting trades (within ebay guidelines) but no projects or junk please. IMPORTANT: I have tried to describe this vehicle as accurately and honestly as possible but please remember it is a used vehicle. As with any vehicle, (new or used) there may be issues that I have overlooked or am unaware of. If you are not familiar with purchasing used vehicles and or specialty vehicles or you have not purchased a vehicle using the Internet, PLEASE do your research, ask questions, make sure you are comfortable with me as a seller, the vehicle, and the process. Unless stated otherwise, I cannot verify actual miles and I am not offering a warranty so if you want one, let's discuss it and document it before the purchase is final. Otherwise there is no warranty expressed or implied. THANKS! Need 500 deposit within 48 hours of auction end and balance COD within 7 days. Shipping is buyers responsibility. Thanks!